Bharat Petroleum Corporation Limited (BPCL) is a government-owned energy and petroleum company located in Mumbai, India. As one of the largest companies in the world, BPCL marches to the Fortune 500 and Forbes 2000 listing as one of the single digit Indian representative. BPCL owns around 40,000 petrol stations throughout India. Every day, there are so many customers coming to the stations for services, and the operation of fuel services is frequent among people on site. To well safeguard its employees and customers, each petrol station was deployed with surveillance system to monitor the station area. The surveillance system BPCL originally adopted was analog system that gradually failed to meet the requirements of flexibility and stable performance when dealing with the enlarged scale of the countrywide petrol stations in terms of security management. Hence, an upgrade and restructure of the surveillance system was planned, and BPCL focused on the options of Internet-based surveillance application that could support more functions and easier management for its wide scale of surveillance deployment between the massive branches. In the end, QNAP® VioStor NVR VS-2008 Pro was chosen for BPCL's new surveillance system with some major concerns in mind. Firstly, the VS-2008 Pro is Linux-based system supports quick configurations without a PC for monitoring IP cameras over the network. The stand-alone NVR feature greatly benefited operation efficiency for security administrators. Secondly, the easiness of system configuration and management surprised BPCL that just a few simple steps were required to complete the setup. This feature was important to BPCL especially in such a large scale deployment as its surveillance upgrade and restructure project carried out. In addition, the web-based user interface makes system management so simple and convenient that it helps security administrators relieve part of the burden from their daily work and greatly improve their working efficiency. Finally, the VS-2008 Pro supports multi-server monitoring. Thanks to the Intel® Atom™ processor, the VS-2008 Pro provides exceptional performance, allowing better scalability by connecting to other VioStor NVRs to monitor up to 128 channels. This Intel-inside model provides extreme flexibility to BPCL on the surveillance deployment based on different milestones of the project and, at the same time, allows easy surveillance expansion in terms of affordable hardware investment in the long-term. "The QNAP NVR is robust and scalable, provides an HDMI output, supports multiple streams from an IP camera, and is Onvif compliant," says Vivek Bagri, CEO of Livedarshan. "In our experience, it has served well for projects based in the Indian context. That is why it was an obvious choice for us when we were implementing the BPCL retail petrol pump project." All in all, the VS-2008 Pro earns the heart of BPCL as a turnkey solution for long-term recording and heavy megapixel recording. In the first stage of this project, BPCL deployed a total of 900 units VioStor NVR VS-2008 Pro for its petrol stations in India. 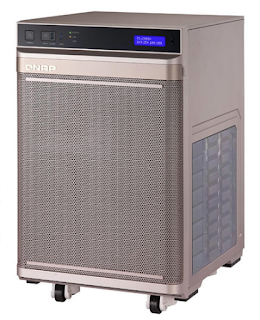 QNAP® VioStor NVR VS-2008 Pro has successfully turned BPCL surveillance system into an advanced network appliance and structure, and effectively helped BPCL with the large-scale surveillance tasks for better environment monitoring and improved employee and customer security at the different petrol stations in the country. 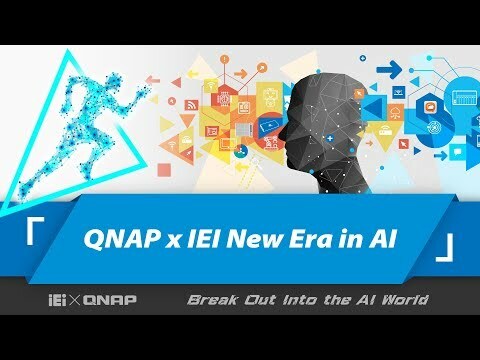 "I am happy to be part of this project and had a deep conversation with the staff of one of the BPCL petrol stations," said Andrew Yu, product manager of QNAP Security. "They were very satisfied with the VS-2008 Pro in aspects of performance, compact and handy hardware design, and ease of monitoring and playback on the screen by connecting a USB mouse. Through this project, I hope people could easily understand the functionality and convenience of local display." BPCL also gained many benefits in aspect of management, including 20-25% cost reduction of operation and administration of each petro station, 15-20% increase in productivity. Moreover, it fulfilled an enhanced central monitoring from the head office, resulting in better efficient surveillance management.